They have a little thing for each other. 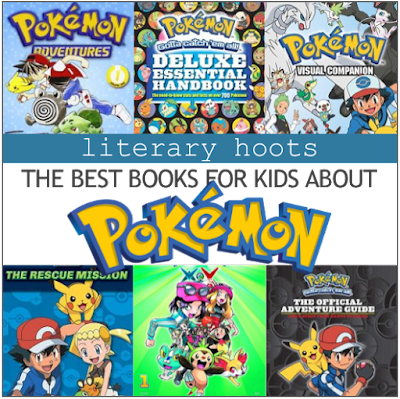 So to help libraries spread the love a little more, or, really, for anyone looking to expand their Pokemon knowledge, here's the best of the best books about Pokemon. Basically, these are the ones that were always checked out at my library and are best sellers on Amazon. Libraries: put them on display! Parents: get your kids reading about their newest passion. And to everybody else like me who grew up with a deck in your pocket and the TV air time of the show memorized...get ready to go (even more) Poke-crazy. Let's just start with the big one. This has everything you need to know about every Pokemon ever. This one was always checked out from the library. 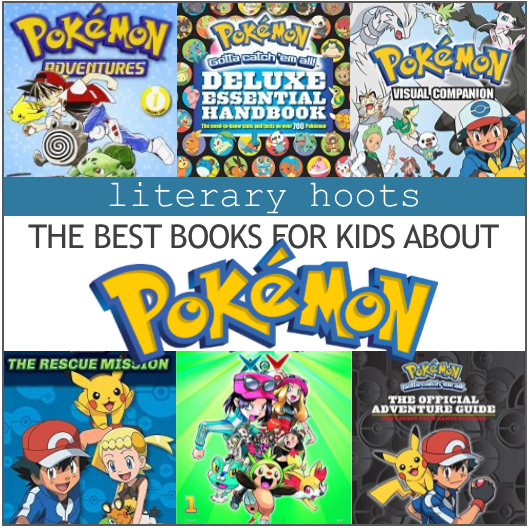 It's comprehensive, it's easy to read (or just browse), lots of cool pictures/illustrations—and pretty much what every Pokemon trainer needs. This is a companion to the television series, and is a great reference to have about everything else Pokemon (not just the Pokemon themselves). It's also a little better for the younger audience than the Deluxe Handbook; still lots of information, but in a mostly visual format. The manga series! So. Much. Manga. Basically, after the video games became popular, these series came out in full force. Start with this one, the original series, but don't forget it's followed by Pokémon Adventures Gold & Silver, Pokémon Adventures Ruby & Sapphire, and Pokémon Adventures Fire Red & Leaf Green. Plus, Pokémon Adventures Diamond & Pearl. Oh, and Pokemon Adventures: Black & White was hugely popular at my library. And Pokémon X•Y was, too. Did you catch all that? There's even more, but hey, you gotta get started somewhere. If all those manga adventures seemed a bit much, or you haven't sat down to watch the show in a while, this guide will point you in the right direction. It has the full reference of Ash's Pokemon journey in an easy to read format. I also wanted to point out that there's a plethora of options for the youngest Pokemon fans, as well. Specifically, this new series follows Ash as he encounters legendary Pokemon in Kalos. Might as well start them young, right? Okay, so maybe this one is just for fun. Or, you know, it's time to make your own Pokemon manga series after reading the thousand already published. This will get you drawing the best Pokemon in no time! Okay, so maybe this one is for even more fun. I mean that Pikachu on the cover is just so cute!